The Revelation ED 2" Barlow includes an ED optical element for improved contrast and colour correction. 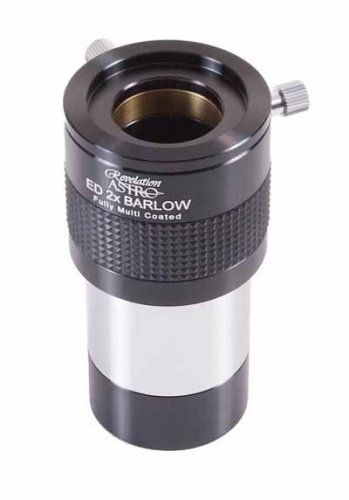 Fully multicoated, with the lens edges being blackened to increase contrast, this high quality barlow is complete with a 2" to 1.25" adapter that allows 2" eyepieces to be used at high magnification without sacrificing comfort or optical quality. Fully multicoated and blackened lens edges with an ED element. Includes 2" to 1.25" adaptor with compression ring.